What really went down. Caitlyn Jenner and Kris Jenner's face-to-face talk on I Am Cait took an emotional turn when it was revealed that the former Olympian wasn't even invited to celebrate her daughter Kylie's high school graduation in July. "One of the reasons I wanted to talk to you was because I don't want your feelings to be hurt like the other day," Kris, 59, explained to her ex. "When I heard that you weren't happy about not being included in Kylie's graduation." "It wasn't me making that decision. 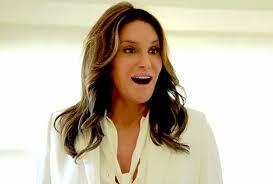 It was you making that decision," a clearly disappointed Caitlyn replied, blinking back tears. "I was so disappointed in everybody. For 15 years of my life, I carpooled the kids every day. Some days, I would spend three or four hours in the car. [It's] a slap in the face when you don't even get invited to their graduation." "Listen, usually people that get a divorce don't do everything together," Kris reflected. "It wasn't malicious, it didn't intend to hurt anybody's feelings, but my feelings still weren't healed." The exes' sit-down talk was a continuation from last week's episode of I Am Cait. As previously reported, the two had many topics to discuss, including the momager's feelings of abandonment, in Kris'first ever meeting with Caitlyn.